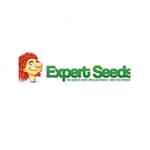 Expert Seeds - Expert Haze. Free US delivery. Expert Haze is a tremendously versatile 90% sativa strain that is a cross of Super Silver Haze and a plant from Laos. For such exotic genetics the flowering time is kept reasonably well in check at 65 to 70 days which means it is even a viable marijuana strain to grow outdoors even in relatively high latitudes where it will be ready to harvest during October. Expert Haze is a medium sized plant with a plethora of branches which remains flexible making it very well suited for either Sea of Green (SOG) or Screen of Green (SCROG) set-ups to maximise bud growth. Growers with more traditional techniques will find that Expert Haze produces a large central cola with many smaller, satellite, buds which nevertheless develop into long tail-like structures that are quite dense and hard and full of THC-producing resin glands. Yields are very good with between 550 - 650 gr/m2 possible indoors; outdoors yields of 800 - 900 gr per plant are quite normal. Total THC production is 21% which gives an amazingly euphoric and trippy effect. Its taste is perfumed and incense-like with woody and fruity notes.